Is Your Feed Scale Working? Lower feed prices are helping on-farm profit margins on many dairies around the country. 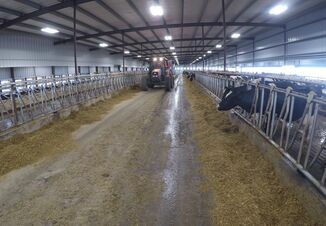 A lot of work goes into formulating an ideal diet for a high producing dairy cow. From testing feedstuffs to accurately mixing the diet, there are many steps along the way where errors can occur. When everything goes as planned and cows consume the formulated diet they can produce a large quantity of milk. One of the steps that can often be overlooked is the feed scale and the error that can occur during mixing. Dairy cows are creatures of routine and added variation can cause stress that will cause milk production to decrease. Most modern mixing equipment have feed scales that record the amounts of the feed ingredients being added to the mixer. A feed scale that has 15% variation could cause a diet to have either more or less of certain feed ingredients. The size of the load influences how many pounds the load is off. For example, a load that is 6,000 lbs. would mean the load would be off 900 lbs. If feed inventory is limited and the loads are adding 900 lbs. extra of a feed ingredient, then after just 30 days 27,000 lbs. of feed would be wasted. This would equate to 328,500 lbs. 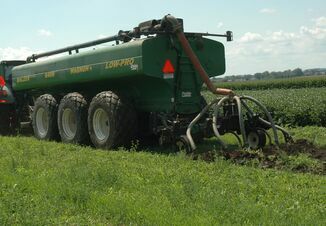 of wasted feed a year and could make a difference on the farm’s profits. Not only will feed be wasted, but the diet will have a different nutrient profile than the formulated diet. This could mean less milk production or diets that have too much energy and cause rumen acidosis. It’s the small things that can add up and cause big problems. Modern dairy cows have high energy demands for milk production, and a special diet is formulated to meet their needs. The mixing of diets is done with equipment using large amounts of feed ingredients. A feed scale is a vital component to ensure the correct amount of feed ingredients are loaded into the mixer. 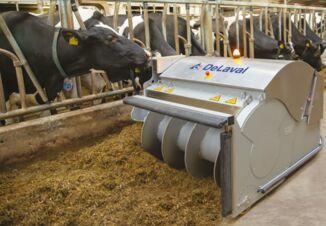 This could mean large amounts of feed are wasted or diets that don’t meet the energy demands. In times of low milk prices every little detail needs to be monitored and the feed scale is one area that could lead to big losses. Calibrating a feed scale once a year will ensure proper measurement of feed ingredients that go into the mixer.